We have shared with you the message of St. Michael in which he announced the beginning of the evangelisation of the low universe, and we have given you guidelines in the last reflection. On Epiphany Day, 6 January of this year, Jesus invited us in His message to evangelise the Earth. This is what we want to speak about. 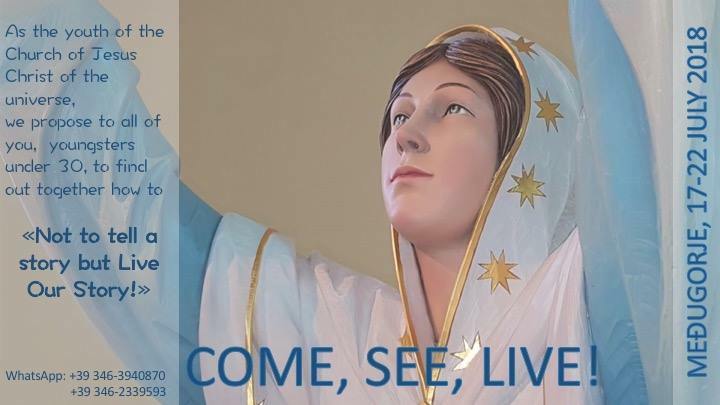 We are in an extraordinary jubilee year, the year of mercy. What do you expect from it in your heart? A God who deals with your little problems? Do you expect that by going through the door of mercy you will get rid of some weight on your conscience or get some comfort? That is not enough. In this year of mercy God will surprise us. Exactly for this year the evangelisation of the low universe has been announced, and you are invited to participate in it. God will surprise us; He will astonish us by doing more good than you could ever imagine. No prophesies, no fortune-teller, no intuition of the Old Testament, no doctor of the Law, no leader, no priest, although called to prepare to meet the Lord Jesus, were able to imagine who He would be; He turned out to be greater than their imagination; He surprised everyone. The Law and the prophets were fulfilled in Jesus Christ, and the prophesies were understood. In today’s Liturgy we have heard about Samuel, the sad, sorrowful prophet closed in his grief; he could not see a way out since Saul had been rejected by God; however, God proved to be greater than he thought; God guides history and knows all the people’s needs. God surprises all prophets. As St. Paul said, prophesies are like reflections in a mirror, yet, the mirror is a little bit broken; the full truth will be manifested later. So, our attitude this year must be a humble one so that the Lord may rewrite history in each one of us, that He may rewrite the history of the Earth and of the whole universe. Do you believe that He is the Lord who governs the universe? Do you believe that He is the only Lord? Do you believe that He can make it? If you allow Him to write in your heart, then the future will be bright for you and there will be continuous great surprises for you every day. The Lord does not intend to be merciful just to comfort you; He offers Himself and all His power to promote you so that you may govern with Him the whole universe. This year of mercy is an extraordinary intervention of God in the whole universe, and the evangelisation of the low universe is a gift to us. You know that from the beginning of the history of the Church, according to the testimony of St. Peter and St. Paul’s messages, it was planned that the apostles and all Christians of the Earth should unite with the brothers and sisters faithful God to evangelise the universe. The people were not ready and the plan led to nothing. However, today it is going ahead and will not stop anymore; it will speed up until the manifestation of the Son of God in His glory and we are called to move towards the Light, welcome the Light more and more to manifest it to others. You have read the message in which Jesus said: “Thus, let yourselves be carried by the force of my action in the universe; let yourselves be carried away by the wave of grace and power that will involve you.“ When you decide to participate in the life and the grace of God of this time and to evangelise, then the grace begins to act in you and increases day after day because you are taking part in it. Let us read the message of Jesus of 6 January 2016. This message highlights especially the communion with the faithful brothers in God in the universe who are leading the mission in the low universe. 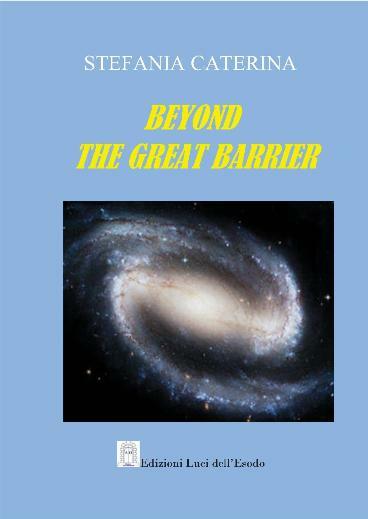 If you read the last part of the book “The Universe and Its Inhabitants” especially the summary of the events of the last year, you will see that this mission, that is, the evangelisation is a step ahead. Jesus worked to prepare a people on Earth that would give a united response to the people of the high universe, to the brothers and sisters faithful to God. While they express all the power that emanates from their fidelity to God, we on Earth must be witnesses of the great events, of the presence of our Lord Jesus Christ, and testimony His life by defeating evil and by defeating death. This fraternal hug will increase fast if you are ready for it in your heart because God will speed up the events and this union will make us a great family in the whole universe and children of God; this is what will slowly prepare us for the cosmic Pentecost. When future events are mentioned, they are often described as coming disasters. Do not take in false prophesies. God makes events happen in favour of His people as He did for the people of Israel in Egypt, and as He did with the first coming of our Lord Jesus Christ. All leads to the awakening of each one of us so that each one of us is transformed into a new creature and we can be taken to the new creation. God does only good. Who is united to Jesus Christ will be able to read the great events, as the Holy Mother said, and does not need to fear. Jesus said in His message: “Today I entrust you totally to My Mother and St. Joseph”; why “totally” if He is there? He is God and His Mystical Body must awaken in all the members according to the order foreseen by God. Not by chance Jesus said several times: “My Mother is your Mother”, and He calls St. Joseph Father, yet, not biologically but spiritually; they are really father and Mother of the life of God for us, and He entrusts us fully to them. In this manner all the children of God will be awakened in the whole universe according to the order that God has set and foreseen. That is how we are moving towards the cosmic Pentecost, because the sublime instruments, Mary Most Holy and St. Joseph, and the extraordinary instruments open the way, give protection and remain close in spirit to those who want to participate in the mission of evangelising the Earth and bringing a new wind to the Earth. The novelty that we have to bring to the Earth, even among the Christians, does not consist in combating someone or appearing more important than others. As has already been said, this is the yeast of the new life, of the grace that passes through all those who participate in favour of those who are of good will. In the same way as the saints were yeast for the Church, for the Christians, of their time every community that consecrated itself and lived saintly became yeast; however, even that is not enough anymore: the whole people must become a holy, priestly, prophetic and royal people because in this lies the power, and the Holy Spirit will act when the people open up to Him. In this context Jesus underlines the importance of joining these programmes and not to delay entering the communion of the universal Church. What does Jesus Christ expect from us? To be holy, to be Christian in the way He wanted the Christians to be. We do not know many things about the universe; we are unable to understand and even God cannot explain things to us because we lack the ability to understand; our being has sunk; our body needs to be transformed step by step so that the truths can slowly be shown to us as the universal communion in the Holy Spirit is growing. We are called to live as a people in a primarily spiritual communion. No-one of us wants to draw all the people to live together in the same place, nor do we want to reduce the nuclei to one model which would be a new structure; we suggest a fraternal relationship. Whatever we want to achieve in life, we need someone’s help. We may enter into communion with someone or make alliances. The people of God spread on Earth in different groups, organisations or individuals have to act especially in spirit; then, as the book “The path of the new people” explains, there are points of reference, and this website is one point of reference; we have to look out for each other and pass on the life that is given to us. In this time we will try to develop different aspects with you so that the people of God may grow, gather and increase; so that the Holy Spirit may act, guide, educate and unite them. This is the orientation of our evangelisation. We will accompany you and continue to share our reflections with you to indicate you the way; we will share with you all that you need to know. We ask you to keep going and to participate. No-one can give you solutions if you do not walk on your path, if you do not let yourselves be transformed. If you proceed on your path and allow the transformation to happen, it will be the Holy Spirit to guide you and to direct you towards each other. I bless you; may the Holy Spirit and all Jesus wanted to give you descend upon you; may you welcome Him through the Trinitarian power; may you incarnate Him in the small things of everyday life to be able to transmit Him to others; may the Lord give you the light, the understanding and the awareness that every change in you affects the change in others. Your thoughts and your love affect the whole universe. May the Holy Spirit guide and protect you, in the name of the Father, of the Son and of the Holy Spirit.